There is always something bittersweet about the beginning of September. Even though I'm really excited for Fashion week and London's autumn days are stunning, I'd like to hang on to summer a little longer here on my blog. During our stay in Italy we made a little stop in Rome, which has to be my all time favourite city. I've been on the hunt for the perfect maxi skirt for a while now and trust Asos to deliver the perfect number. I kept it simple with a white top and gladiator sandals but I also can't wait to pair the skirt with a chunky knit. Very nice and great skirt. Adore this outfit! It's the perfect maxi skirt, I love the colour! It perfectly complements the surroundings. You look gorgeous! Indeed an amazing skirt and great combination! Your skirt is gorgeous ! 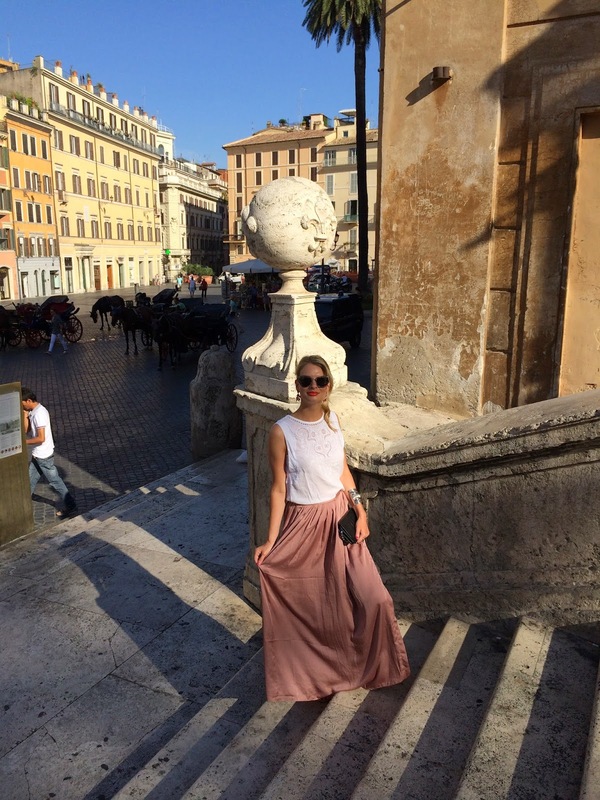 Such a great Roma look, very Dolce Vita ! Love it so much babe! You look absolutely stunning!! 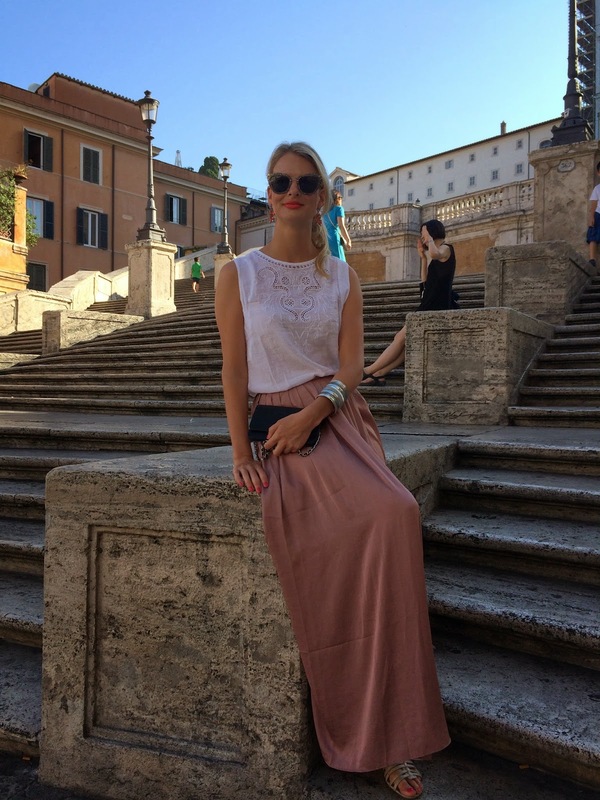 All the pieces are incredibly gorgeous and perfect for Rome! This skirt is perfect. PERFECT. Vacation looks good on you! Dying to visit Rome one day.